A class act, a classy actor. Sorry to see him go. When I was a kid growing up in Cape Town, I had a movie board game, in which one worked your way up to "stardom". The board tokens were pictures of stars of the period. I always chose to be Glenn Ford ... and I almost always won! (it was MY game, after all!) He was class act as an actor, but, like so many of his generation, he became very conservative, and outspoken, in his political leanings in his later years. 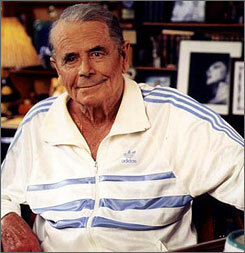 thanks for your tribute to glenn ford. my favorite film of his is "gilda." he and rita hayworth had great chemistry. i also like "experiment in terror" but i haven't seen this film come on television in decades. i'd like to see it again.